Growing up I was always fond of Mangoes. I mean look at them, how on earth can anyone not love them! Back in Bhilwara, Alphnonso didn't make appearance often. Even then father always made sure that I got to relish them during season. Not only are they juicy and delicious, they are ideal for people who are anaemic. Apart from being a yum tropical fruit, mango is high in Vit C and Vit A.
Mumbai is over flowing with Alphonso variety of mangoes. I wait for summers to start and get that first batch of mangoes in house. You really have to see my eyes glowing at the sight of mangoes. That being said, I am here to talk about this Tropical Mango-spinach smoothie I made other day and not about my craze for mangoes. I love smoothies. There is just so many variations which can be tried. 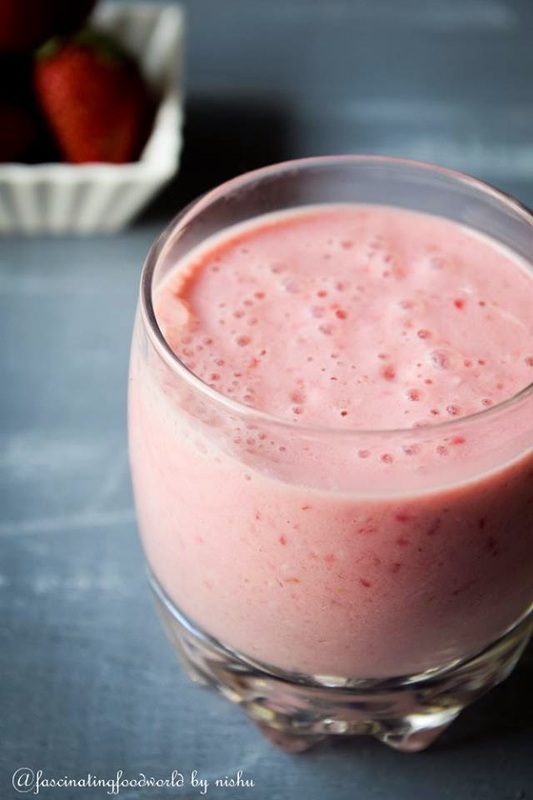 Strawberry season has just ended in India and I am already missing this Strawberry smoothie which I have been having for the past 4 months. This layered tropical mango-spinach smoothie is hydrating and easy to make. It is an ideal filling on-the-go-breakfast. Creamy, delicious and healthy emulsion of mango and banana taken up a notch by adding fresh raw spinach. Trust me when I am saying this that you won't notice or taste spinach at all. Oh and did I mention that it is dairy-free and gluten-free too! It is so creamy that you can even freeze it and have it as in ice-cream. Tropical layered Mango-spinach smoothie for on-the-go-breakfast. Add mango, banana, coconut water and honey in a blender and give a good spin till everything is blended well and you get a thick smooth consistency. 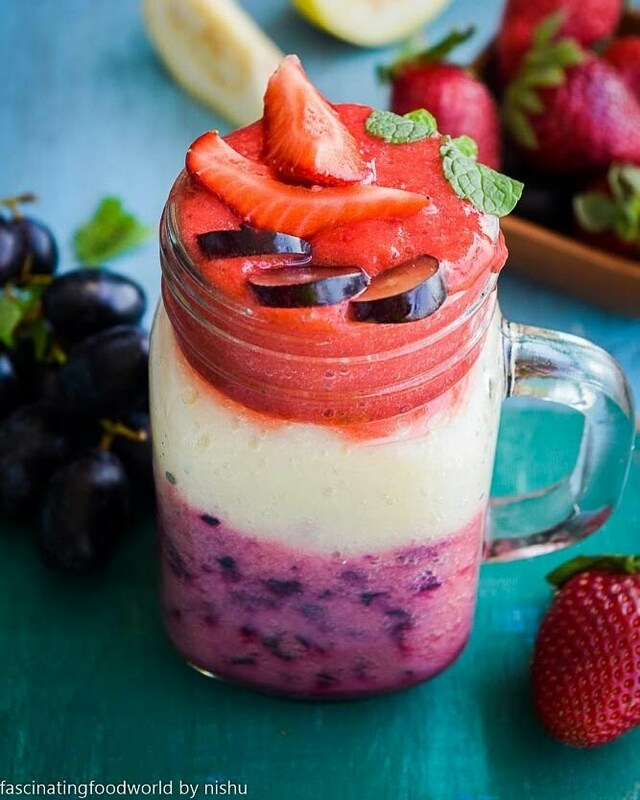 Pour half of the smoothie in glass. Now add spinach to the rest of the smoothie in the blender and blitz till smoothie is bright green in colour. Add some coconut water if required. Fill rest of the glass with it and slurp. Don't forget to take a picture when you try my recipes and hashtag me on Instagram and Facebook. this is interesting. Thanks for sharing fabulous information.